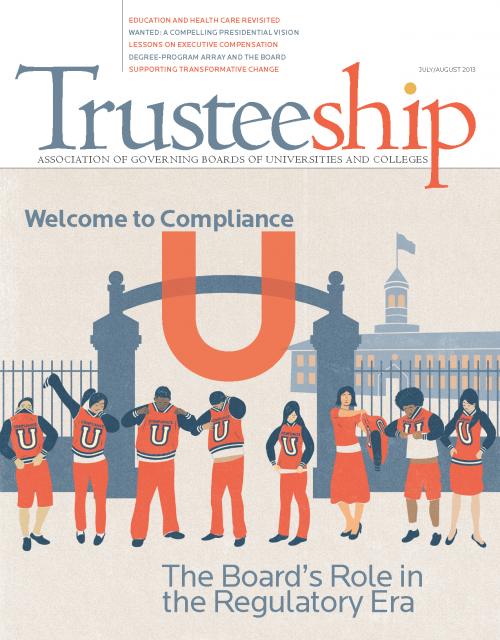 Every higher education administrator needs an introduction to compliance as an Enterprise (Institution Wide) Issue. Beware, entering the maze of rules, regulations, and requirements, is not for the faint of heart. It is complex, convoluted and confusing, and difficult to reconcile from the internal perspective of academic management as the lens most administrators rely upon. I recommend beginning with the 144 page report Recalibrating Regulation of Colleges and Universities cited in the opening quote and published by the Task Force on Federal Regulation of Higher Education (February 2015). Specifically, focus upon Appendix I, the Regulations Matrix (pages 43-57). This first matrix introduces the issues within a recognizable and approachable context of the issues related to the challenge of compliance as faced by front line administrators and institutional governance. If you have specific compliance concerns, findings, or wish to dig deeper then I recommend turning to the Higher Education Compliance Alliance (HECA) Compliance Matrix which provides a comprehensive list of key federal laws and regulations governing colleges and universities. It includes a brief summary of each law, applicable reporting deadlines, and links to additional resources. If you wish to explore a career in compliance then I recommend the National Association of College and University Attorneys (NACUA) and the University Risk Management and Insurance Association (URMIA). If you have other resources you recommend please feel free to append them to this post.